It is hard to believe that in 1998, the locals and tourists in the Loreto Mexican area had very limited access to emergency medical treatment. After all, the nearest hospital was 200 miles away. With the help of H.B. 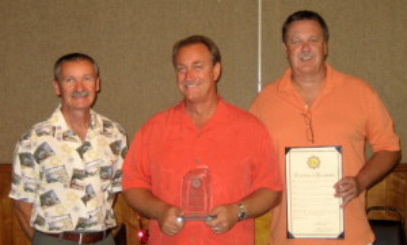 City Manager and HBSCA, that all began to change. Paul Hawkins, Mike Garofano, and Kim Bridges (Hermosa Beach Paramedics) conducted the first U.S.-based emergency medical training class to the City of Loreto. Anyone interested was invited to attend. By direction of then Loreto Presidente Verdugo, Kim Bridges and Paul Hawkins began teaching more advanced skills to the newly formed Loreto Fire Department. The goal was to have full-time professional firefighters who could eventually become paramedics that were equal or better than United States certified paramedics. Over the years, Hermosa Beach Paramedics have traveled to Loreto to provide continuing education to the paramedics and those in training. These classes are very intense, and they are conducted every day for one week. Miguel Romero graduated as the first U.S. equivalent paramedic. To date, eleven Loreto firefighters have passed the U.S. Paramedic test. 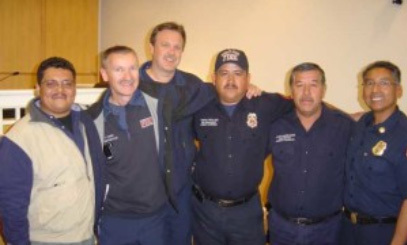 In 2005, Dr. Fernando Lopez was appointed medical director of the Loreto Fire Department to provide continuing education to the existing paramedics and prospective paramedics. During the same time period, Loreto Presidente Homero Davis allowed students to receive scholarship credit towards college if they volunteered at the Fire Department. What does a T.U.M. do? In Mexico, T.U.M. is the highest form of medical training a firefighter receives. A T.U.M. Firefighter is trained to do Basic Life Support (BLS). For example: controlling bleeding, administering oxygen, CPR, and basic detection of life-threatening illness and injury. Mexico does not have a designation or training for the U.S. equivalent of a paramedic. A paramedic does everything a T.U.M. does and more. For example, they perform basic life support plus interpret EKGs, defibrillate and cardio-vert arrhythmia, administer drugs, establish advanced airways, access veins and bone for delivery of drugs, and many more advanced skills that only doctors in Mexico usually perform. Training firefighters in paramedic skills has greatly benefited the Loreto community, leading to mentions in American travel magazines, sales brochures for local developments, and the official transport agency for Holland America cruise ships. 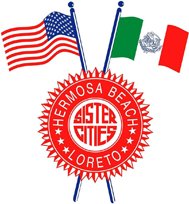 Since beginning this program, Loreto has become the envy of the Fire Chiefs of La Paz (the capital of Baja California Sur) and Santa Rosalia (Manhattan Beach's Sister City). Overall, this training program has contributed to the image of Loreto as a safe, progressive city and desirable travel destination. 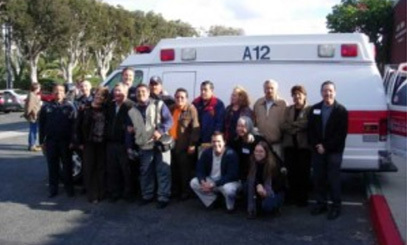 In May of 2007, an instructor from UCLA assisted with the paramedic training in Loreto and said, "These are some of the best paramedics I've ever seen." As a result of her enthusiasm, we have UCLA's commitment to assist in future training efforts.